The Campbells Are Coming is a Scottish song associated with Clan Campbell. The tune, a traditional Scottish air, is similar to "The Town of Inveraray" (Scottish Gaelic: "Baile Ionaraora") where stands the Campbell clan castle. Historically one of the largest and most powerful of the Highland clans, their lands were in Argyll and the chief of the clan became the Earl and later Duke of Argyll. 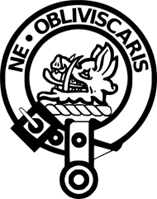 In traditional genealogies of the Clan Campbell, its origins are placed amongst the ancient Britons of Strathclyde. However, the earliest Campbell in written records is Gillespie who is recorded in 1263. Early grants to Gillespie and his relations were almost all in east-central Scotland. However, the family's connection with Argyll came some generations before when a Campbell married the heiress of the O'Duines and she brought with her the Lordship of Loch Awe. Because of this the early clan name was Clan O'Duine and this was later supplanted by the style Clan Diarmid. This name came from a fancied connection to Diarmid the Boar, a great hero from early Celtic mythology. Between 1200 and 1500 the Campbells emerged as one of the most powerful families in Scotland, dominant in Argyll and capable of wielding a wider influence and authority from Edinburgh to the Hebrides and western Highlands. The origins of the song are unclear. The song was definitely extant by 1745 and perhaps much earlier. It may have been inspired by the war of the Jacobite rising of 1715 (John Campbell, 2nd Duke of Argyll was the loyalist war leader and many Scottish loyalists were Campbells); According to Lewis Winstock the tune accompanied the Scottish loyalist vanguard in the Jacobite war, and Robert Wodrow ascribes that name to one of the bagpipe tunes that accompanied Argyle's Highlanders entrance into Perth and Dundee. Or it may have been concerned with earlier events around the deposing of Mary Queen of Scots: "Lochleven" presumably refers to Lochleven Castle where Mary Queen of Scots was imprisoned in 1567, and "Great Argyl" may refer to Archibald Campbell, 5th Earl of Argyll who attempted to rescue her. The lyrics are commonly attributed to Robert Burns, like many Scottish songs which are actually traditional or of unknown origin. Burns did write a version with some different verses. And saw three bonie perches play. Some Military Pipe Bands are forbidden to play "The Campbells are Coming"; it may be because of the Glencoe Massacre. In 1692, 38 unarmed people of the Clan MacDonald of Glencoe were killed in the Massacre of Glencoe when a Government initiative to suppress Jacobitism was entangled in the long running feud between Clan MacDonald and Clan Campbell. The slaughter of the MacDonalds at the hands of the soldiers, led by Captain Robert Campbell of Glenlyon, after enjoying their hospitality for over a week was a major affront of Scots Law and Highland tradition. The majority of soldiers were not Campbells, but a roll call from a few months before included six Campbells in addition to Cpt. Robt. Campbell: Corporal Achibald Campbell, Private Archibald Campbell (elder), Private Donald Campbell (younger), Private Archibald Campbell (younger), Private James Campbell, Private Donald Campbell (elder), and Private Duncan Campbell. That feelings still run high is attested by the fact that. In the late 20th century the Clachaig Inn, a hotel and pub in Glencoe popular with climbers, had a sign on its door "No Hawkers or Campbells".